Are you up for a nice run? How about downing a dozen doughnuts while you’re at it? It’s all in the name of a good cause. 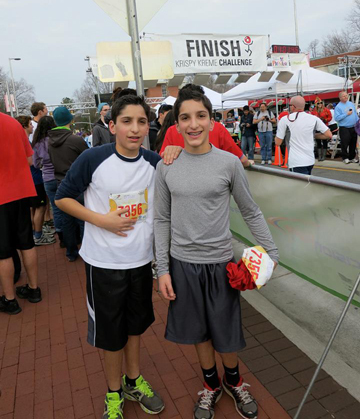 Krispy Kreme Challenge 2014 is Sat., Feb. 8, and it’s been a North Carolina State University tradition since 2004. 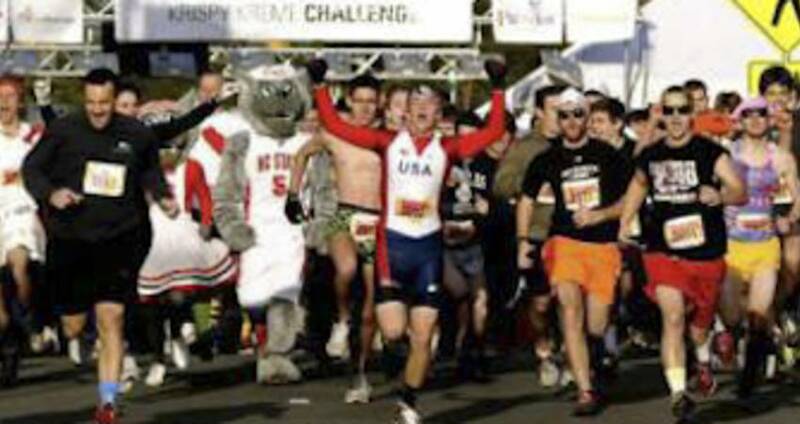 Donating more than $374,000 to the North Carolina Children’s Hospital over the past eight years, this race begins at the North Carolina State University Memorial Belltower in Raleigh, spans 2.5 miles through downtown to the Krispy Kreme store at the intersection of Peace and Person Sts. (for a full dozen of the famous original glazed), then 2.5 miles back. And if you can do it within one hour, you’ve mastered the Krispy Kreme Challenge. “I think many more people can walk five miles than think they can,” said runner Tara Hill of Raleigh. She was looking for a new experience and ran with family and friends. “I would encourage everyone to try,” she said. And you don&apos;t really have to eat all those doughnuts! “Just eat one, or don&apos;t eat any,” said Raleigh’s Morgan Magdanz, a past participant. The North Carolina Children’s Hospital is specially-designed to cater to the needs of children who are sick or injured and their families. Their mission is to provide the highest quality care to patients from all 100 counties in N.C., regardless of a family’s ability to afford the services. This state-of-the-art facility was designed with children in mind, providing conveniences and features such as a three-story play atrium designed to look like an outdoor park. In addition, the hospital has the state’s only fully-accredited hospital school, which keeps patients from kindergarten to 12th grade on top of their studies. Medical amenities include a newborn critical care facility, cardiac care unit, comprehensive cancer center and more. The monies brought in by fundraisers and event participants help fund additional equipment and support services necessary in providing exceptional care, as well as innovative programs that aid in the treatment and care of children suffering from a wide range of illnesses. “One of the best parts was seeing all the crazy costumes some of the runners were wearing! It was so much fun!” said Jasper Mark. If you&apos;re taking on the challenge, take on the additional challenge of competing in the 2nd Annual Krispy Kreme Challenge Costume Contest, presented by visitRaleigh.com. The single division prize is a Nike+ Fuelband and Runner&apos;s Swag Bag (a $150 value) and the group division prize is a $200 gift certificate for any Greater Raleigh restaurant (winner chooses the restaurant). Some advice from the Mark twins: get there early, get a good parking spot and a starting position up in front. You&apos;ll have a better shot of getting on TV and you&apos;ll beat the long lines for doughnuts down the road. It also helps to have a running partner who runs at your pace, or slightly above, so you can stick together in the crowd. Registration is $35 for North Carolina State University students, $42 for others, and there were 8,100 spots up for grabs when registration opened. All photos from the Krispy Kreme Challenge Facebook page, unless otherwise noted.